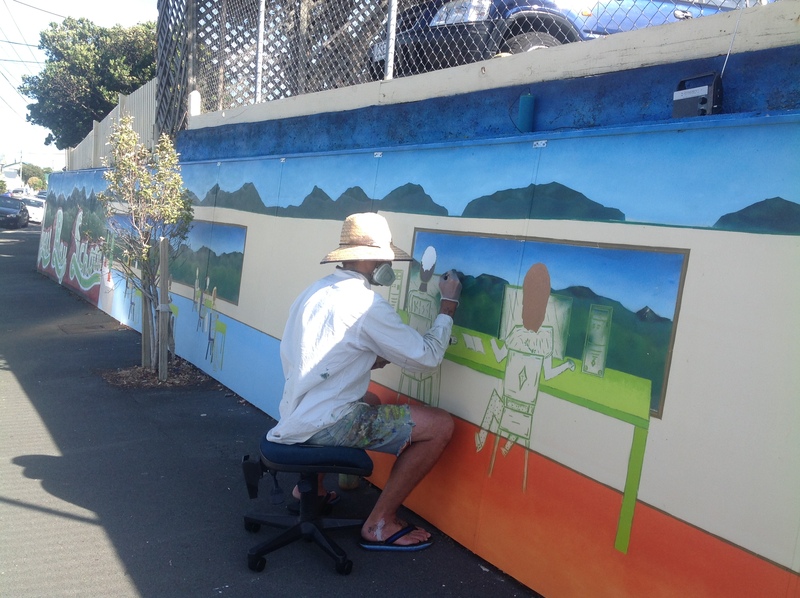 Going to an appointment today in Lyall Bay I went past local artist Gene Van der Zanden, working away on his mural on the retaining wall at Lyall Bay school. Gene has been donating his time to this but I’m pleased to say that recently a small Council grant has enabled him to buy paints. The mural is really starting to take shape now and I’m sure the kids love it! Thanks Gene, your work brightens up our day. 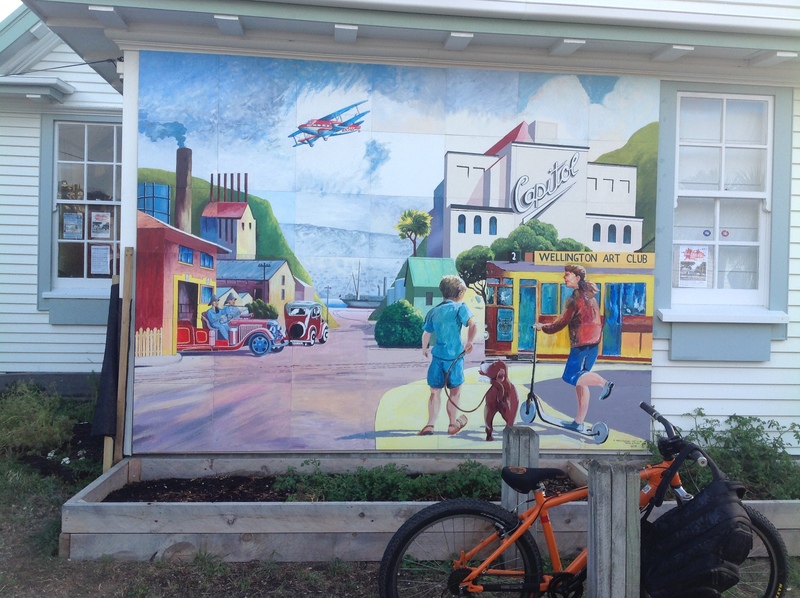 Also on a similar subject, how many people have had a chance to admire the recently completed mural on the side of the Miramar Community Centre ? This is a joint effort by several artists from the Wellington Art Club, whose rooms are on the same site as the Centre. The work cleverly incorporates many Miramar icons, including the wharf, movie theatre and old gasworks.